The Zero/Sports Turbine Venturi Uppipe is designed with a changing interior diameter. 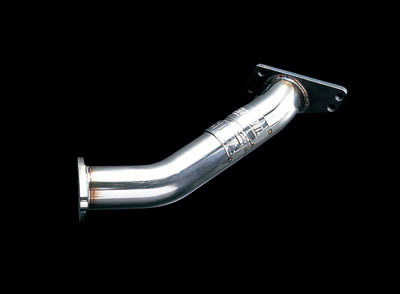 -The gasses from the exhaust manifold enter the uppipe at 60mm, then taper to 50mm to speed the flow of exhaust gasses then increase back to 60mm to enter the turbo. -This design allows for a quicker spooling turbo and more power throughout the entire RPM range.